Explanation: On November 17, 1970 the Soviet Luna 17 spacecraft landed the first roving remote-controlled robot on the Moon. Known as Lunokhod 1, it weighed just under 2,000 pounds and was designed to operate for 90 days while guided in real-time by a five person team at the Deep Space Center near Moscow, USSR, Planet Earth. The futuristic looking eight wheeler rode on top of a descent module which extended ramps from both sides offering alternative routes to the surface in case one side was blocked by boulders. 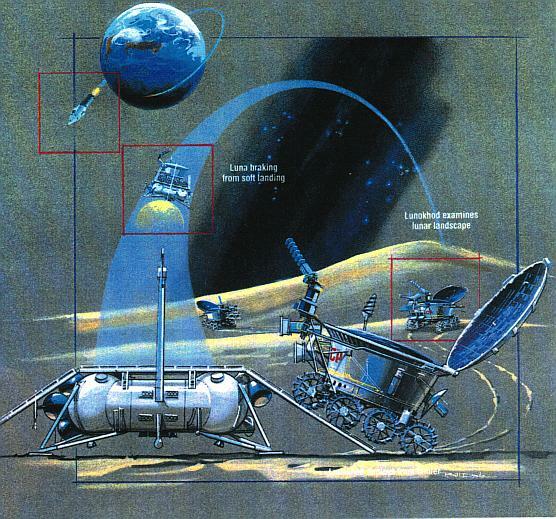 Lunokhod 1 actually toured the lunar Mare Imbrium (Sea of Rains) for 11 months in one of the greatest successes of the Soviet lunar exploration program. 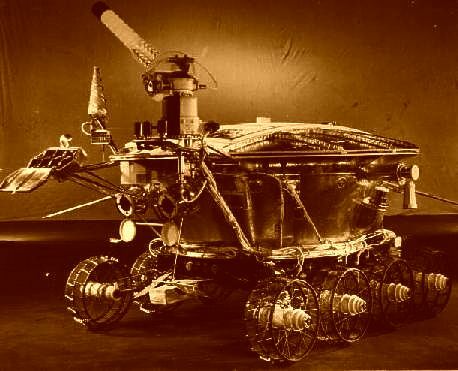 This Lunokhod's operations officially ceased on October 4, 1971, 14 years after the launch of Sputnik.